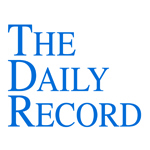 Last week's Legal Currents column, which is published in The Daily Record, is entitled "Don't believe the hype." The article is set forth in full below, and a pdf of the article can be found here. — ROBERT FROST, “THE ROAD NOT TAKEN"
In a Dec. 13 Legal Times article entitled “Obama’s Road Not Taken,” Barack Obama’s career path to presidential candidacy was hailed as daring and unusual. It seems Obama, an outstanding Harvard Law School graduate by all accounts and former president of the Harvard Law Review, rejected the “obvious path” that would have led to sought-after judicial clerkships, which in turn may have led to partnership in a large law firm, a judgeship or law school faculty position. Obama’s decision to return to his native Chicago to practice civil rights law and pen a memoir that later became a best-seller seemingly mystified many of those already well-entrenched at the “top” of the legal hierarchy. It was downright unthinkable that a talented young man like Obama would reject the career trajectory that law students are taught is the only path to true success and prestige. The problem with this perspective is that it fails to take into account that the definition of success varies greatly from person to person. One’s frame of reference tends to alter the concept of success as well. In law school, success generally is defined by two discrete groups of individuals — law professors, whose careers, quite coincidentally, followed the very same straight and narrow path that they assert leads to a “successful” legal career, and law school administrators, whose primary goal is to maintain admission levels by enticing potential students to attend through promises of six-figure incomes and corner offices with a view. The message is received loud and clear from the moment one steps foot in the hallowed halls of law school: Only the best are a success, while those languishing in the bottom 90th percentile are anything but. And so it comes to pass that once-compassionate human beings enter law school aspiring to make a difference in the world and, within weeks, become heartless, cutthroat law students. The fear of failure becomes almost palpable as the vast majority of students are lured by the false sense of security that accompanies the attainment of success within the desolate and delicate realities of the land of lawyers in the making. Three years later they emerge from the depths of the law library, blinking hopefully at the harsh glare of daylight, only to find themselves, a short time later, in a windowless, gloomy office in the bowels of Big Law, surrounded by countless boxes of documents not yet reviewed, Blackberries super-glued to their hands, pockets lined with money they’ve no time or energy to spend. Maybe, just maybe, Obama had the right idea. At the very least he had the foresight to realize success is in the eye of the beholder. He resisted the pressure to conform to the expectations of those around him and stayed true to his ideals. By all accounts, Obama has achieved success on his own terms. His career trajectory — one rarely given credence in any law school — should give all depressed lawyers and lawyers- to-be a sense of hope. Forge your own path, stay true to your dreams and, most importantly, don’t believe the hype. adj. Latin for "by the court," defining a decision of an appeals court as a whole in which no judge is identified as the specific author. This blog is on a brief hiatus and posting will be intermittent until late December. Enjoy the holidays! Does Mom Have the Capacity to Sign That Document? With so many of our older clients suffering from the dementia and the early stages of Alzheimer’s, as well as younger clients who may have developmental difficulties, estate practitioners are sometimes at a loss to determine whether a client has the capacity to execute the documents we have drafted. 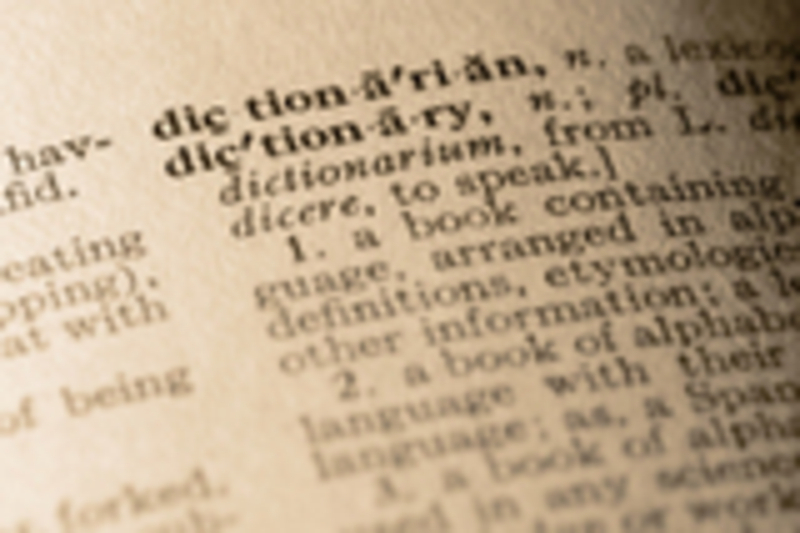 We recently received additional guidance from the Appellate Division, Fourth Department. During a guardianship proceeding that was later dismissed, a daughter sought to prove that her mother lacked capacity to execute a Power of Attorney and a Health Care Proxy, appointing a grandson and another daughter, respectively, as agents. The Supreme Court of Oswego County (Judge John J. Elliott) found that the mother had capacity to execute the documents, and dismissed the guardianship petition. The Appellate Division later affirmed (In the Matter of the Application for the Appointment of a Guardian of the Person and/or Property of Mildred M.J., an Alleged Incapacitated Person, Slip Opinion CA 07-00533, 4th Dept. Sept. 28, 2007). The court required other evidence to show that the mother lacked capacity at the exact time she signed the documents. Instead, the other children presented the testimony of a doctor and a nurse practitioner, who stated that the mother “would have been able to understand questions such as whom she would like to make her health care decisions if she were unable to do so and whether she would like her grandson to handle her financial affairs.” The drafting attorneys also testified in support of the mother’s capacity (every estate attorney’s least favorite activity). Only that most basic understanding is required in order to have capacity to sign estate planning documents. We often advise our clients to create Health Care Proxies and Powers of Attorney in order to avoid the nightmare of a contested guardianship proceeding. It is unfortunate that it had the opposite result in this case. -Authored by Elizabeth Randisi, a Rochester, New York attorney associated with the law firm WeinsteinMurphy. Her practice focuses on Trusts and Estates and elder law. This week's Legal Currents column, which is published in The Daily Record, is entitled "Lawyers behaving badly." The article is set forth in full below, and a pdf of the article can be found here. In Ladcapp Value Partners, LP v. Lowenstein Sandler PC, no. 600973-2007, attorney Michelle Rice brought a motion pur- suant to CPLR 3104 seeking a court-appointed referee as a result of attorney Thomas B. Decea’s conduct during a depo- sition in the case. New York County Supreme Court Justice Robinson Edmead granted her motion and appointed a referee to supervise all subsequent depositions in the matter after concluding Decea engaged in a pattern of abusive, inappropriate and sexist behavior toward Rice on the record during a depo- sition of one of the parties. Most remarkably, he asserted he was unaware Rice was offended by his behavior, while concurrently acknowledging that during the deposition she threatened to file a com- plaint against him due to his behavior. In the Ladcapp decision, the court cited a case with a similar fact pattern, Principe v. Assay Partners, 154 Misc.2d 702. In Principe, a male attorney made a number of inappropriate remarks to a female attorney during a deposition, including: “What do you know, young girl”; “Be quiet little girl”; and “Go away, little girl.” Principe was decided in 1992. While I wish it could be said that Ladcapp also was decided in the early ‘90s, sadly it was handed down just last week. Despite the passage of 15 years, it seems there are still attorneys like Decea who have yet to learn that denigrating opposing counsel on the basis of their gender is not only juvenile and offensive, but unacceptable. Like their male counterparts, women attorneys owe their clients the duty of zealous representation and should not be demeaned for assertively and effectively representing their client’s interests. Attorneys like Decea who are uncomfortable with women who advocate strongly for their clients would be wise to either change with the times or learn to keep their antiquated views to themselves and off the record. I apologize for the delayed posting of today's New York law blog round up, but I've been otherwise occupied revamping my professional website. I'd appreciate any input via email (nblack at nicoleblackesq dot com) should you care to critique it. I still have to tweak a few things, but it's close to complete, although I'm not quite sure about the home page yet. v. to revoke a gift made in a will by destroying, selling or giving away the gift item during the lifetime of the testator (writer of the will). Example: a person writes in his/her will, "I leave my son my 1988 Cadillac automobile" and then Dad totals or sells the car. Nasty legal fights can arise if the supposed adeemed gift is not clearly identified, as in "I give Robert my family car." Then the giver sells the Cadillac and buys a Jeep. Better will language would be: "To Johnny any (or the newest) automobile of which I shall be possessed at the time of my death." Trusts and Estates law is often seen as a dry subject, even among attorneys. I find it fascinating, however. The stories and psychologies of the clients and litigants are at the center of every case, and some of the most contentious lawsuits are brought (or not) because of family dynamics. Estate of Burton Wallens (___ N.Y.3d ___, Oct. 18, 2007) is a great example of this, and is one of those stories that makes me think Surrogate's Court should be able to order family counseling. Maggie's parents were divorced in 1995 when Maggie was 13, and Maggie went to live with Mom. The divorce decree required Dad to pay for Maggie's expensive private high school. In 1997, Grandpa died and left $200,000 to Maggie in Trust, to be used for her "support, education, maintenance and general welfare." Grandpa had named Dad the Trustee. As Trustee, Dad used Trust money to pay for Maggie's "education" - the tuition at her expensive private high school. Maggie went to live with Dad in 2000, and the Court relieved Dad of his obligation to pay child support. When Maggie went to college, Surrogate's Court approved the use of Grandpa's Trust money to pay for her college tuition. In 2003, when Maggie turned 21, she asked Dad for a formal accounting of her Trust funds. Maggie refused to approve the use of her Trust money to pay for her high school tuition, claiming Dad was already required to pay that expense out of his personal funds. The case has been in litigation ever since, and has now reached the Court of Appeals. Initially, Surrogate's Court agreed with Maggie and ordered Dad to repay the high school tuition money to the Trust, saying that Dad's independent obligation to pay for Maggie's education trumped the language of the Trust. When Dad appealed, the Appellate Division reversed, saying the Trust had been set up to pay for Maggie's education, which was exactly what it had done. Maggie then appealed the decision of the Appellate Division, and the Court of Appeals again reversed. The expenditure of Trust money on Maggie's high school tuition was explicitly authorized by the Trust language. "But", says the Court of Appeals, "even when the trust instrument vests the trustee with broad discretion to make decisions regarding the distribution of trust funds, a trustee is still required to act reasonably and in good faith in attempting to carry out the terms of the trust." In other words, just because Dad could use Trust money to pay Maggie's educational expenses, it didn't mean he should have. The Court of Appeals goes on to say that Dad should have obtained Surrogate's Court approval of this expenditure, just like he did for the college expenses, and remands the case to Surrogate's Court to decide whether Dad acted in good faith. This case reminds practitioners to be thorough in extracting pertinent information from their clients before giving advice about Trust distributions. It also shows that the parent-child relationship that is strained during a divorce can come back to bite you. --Authored by Elizabeth Randisi, a Rochester, New York attorney associated with the law firm WeinsteinMurphy. Her practice focuses on Trusts and Estates and elder law. I'm proud to announce that I am now a Thomson-West author. 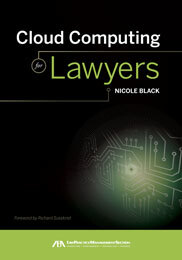 Should you choose to follow this link to my book, you'll notice that my name is now listed as a co-author. Ain't that grand? 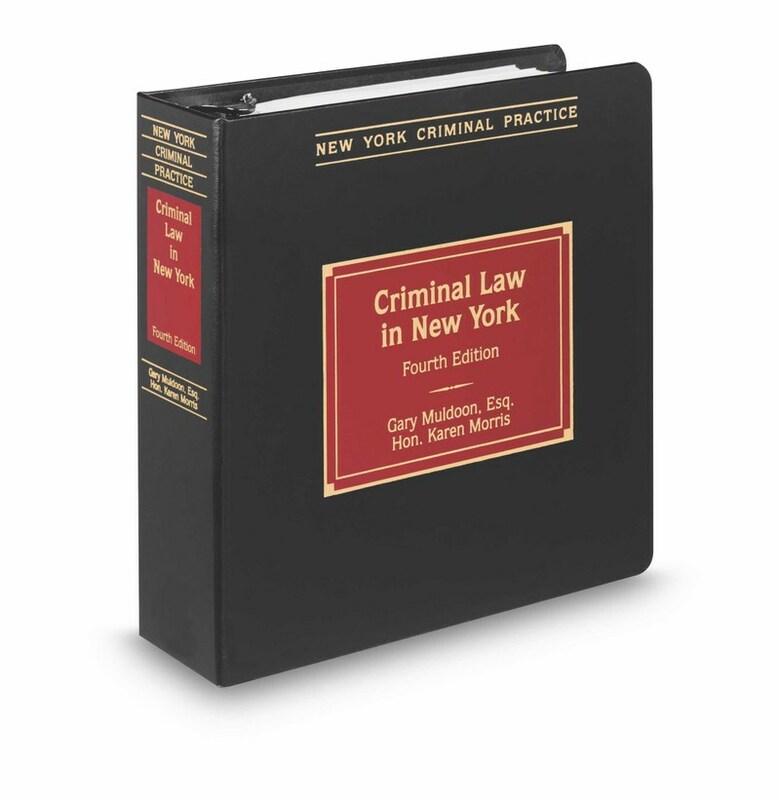 My book, Criminal Law in New York, which I co-author with the Honorable Karen Morris and Gary Muldoon, can be found in the sidebar to the right or at this link, where you're free to purchase it for all of your grandchildren, children, friends, family members--even strangers. If I may say so myself, I do believe that it's the perfect holiday gift!